Instagram has become in recent years one of the most popular mobile photo-sharing si Video-sharing, Including increasing the social networkWith over 200 million active users each month. 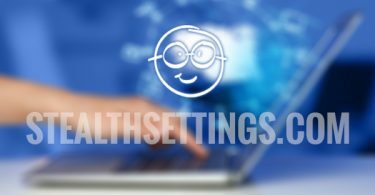 By means of InstagramUsers can use filters available in the application to make even the most mundane photos look interesting, but the service (not available for Desktops than for View) Does not enable them to save photos Favorite nor mobileNor computers. For those who still want to have access to certain media files (Photos and videos) on Instagram and out of service (ie, want to have access offline to), there are various third-party applications enabling them to save those files on computers supplied one of these applications is InstagramSaver. InstagramSaver is a free application (open source) With which users can download on personal computers pictures si VIDEOS uploaded Instagram for service users. application interface is quite simple and easy to understand and use, requiring minimal interaction from the user to perform actions they desired. Basically, users must enter the field displayed in the top right corner of the application Instagram user name whose media files you want to download, then to click on the button downloadAnd if they want to stop the download be completed before it can use the button Stop (Files downloaded up to that point will be Saved in computer folder Documents / InstagramSaver; if you want to save the downloaded files in a custom folderYou can change the location by clicking on folder icon displayed beside Open). Given that downloading video files on Instagram can consume a lot of time and bandwidth, InstagramSaver not save videos in way default. 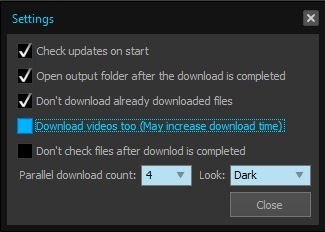 Users of this application wishing to download including VIDEOS uploaded by some users of the service can active this option in Settings (Also can set and how many processes download may occur in parallel). Note: The application is compatible with all versions of Windows.